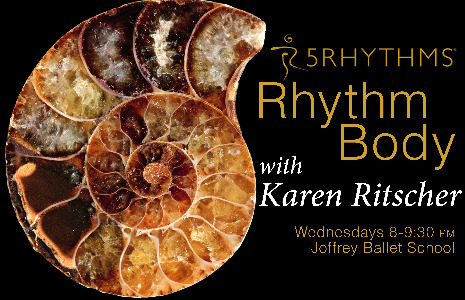 A Gabrielle Roth 5Rhythms Waves workshop is the foundation of the entire body of 5Rhythms work in which we expand our class work with a deepened physical expression and knowledge of the essential 5Rhythms and their polarities. © 2019 5Rhythms. All Rights Reserved | 5Rhythms, Flowing Staccato Chaos Lyrical Stillness, Sweat Your Prayers, and The Moving Center are registered trademarks.